SPIN & Sunday Workouts… It’s SPOOKtacuLAR!!! The time has come to BRING IT!!! The last two weeks of October lets have some fun together, as a matter of fact what are you doing this Sunday? *THE BEST SUNDAY WORKOUT IN NEW YORK CITY. Starting this Sunday, October 16th I’m Teaching the 10am-11am FULL-BODY Bootcamp at Barry’s! AND… YES, I’ll continue to teach my Regular Schedule of Monday/Wednesday/Friday from 12.30-1.30!!! Monday – Arms, Wednesday – Chest, Friday – Full-Body! http://www.barrysbootcamp.com/nyc-pricing-schedule.html or call 646.559.2721 for 3pack & more details. I’m PROUD to be a part of the launch of KiwiSweat a pioneer in creating the highest quality fitness in unique destinations to transform the ho-hum workout routine into the premier fitness experience. KiwiSweat’s inaugural SPIN EVENTS will take place NEXT WEEK in Chelsea Market & you’re invited!! MY 4 SPIN SESSIONS – LETS DO THIS! P.S. Let me help you with what the rest of your Weekends will look like in October, ok? ROCK-tober 2011 – Lacey Stone Fitness NEWS! Starting October 16th I’ll be teaching the 10am-11am FULL-BODY EXTRAVAGANZA 3 Times ONLY! Why? : Because you miss me and you want to get you’re a** Kicked GOOD 🙂 RALLY the troops Retro STYLE!!! It’s like the Double on Sunday at 19th Street, REUNION of Full-Body Madness! for Lacey’s Sunday 3. 3 Pre-Registered Classes = $100. AND… YES, I will continue to teach Monday/Wednesday/Friday from 12.30-1.30!!! * SPIN- der – ELLA is Back!!! * NEWS – Extra! EXTRA!!! SPIN is BACK w/ KiwiSWEAT! IT”S TRUE… I’m excited to be partnering with KiwiSWEAT a revolutionary new Fitness experience in New York City! I picked 4 time slots that I feel everyone can find a place to ROCK IT OUT with me – Reserve my classes here – http://www.kiwisweat.com/ And check out Kiwi! If you haven’t tried Barry’s yet, now’s the time! FUN. CYCLING FUTURE in NYC & LA? I’ll be here ALL of OCTOBER to teach, November I have to go to LA a bunch for work, and I move to the West Coast the 3rd week of December! Holy SMOKES… Make a point to come and Sweat with me over the course of the next 3 months on New York City soil, ok?! It’s not outta sight outta mind for me Loverssss I want to see you fools 🙂 And stayed tuned for my FAREWELL Barry’s and SPIN Events in December… GOD I LOVE YOU NYC. BOOTYCamp! 2011 & Beyond…What a SUMMER!!!!! May, June – Gap/Banana Republic, July (Lead by Carl – An extraordinary friend to me and GREAT Coach), August (Hell Week launched), September T/TR-M/W-Bonobos- and Gap/Banana Republic! What a SUMMER of Outdoor Fitness – BOOTYCamp! Reined supreme with some of the most Awesome and High Level Camps ever in 2011! We had Rookies like Stevie bring it to a new level and The Vintage Veterans ran the show like a well-oiled machine. *Corporate America took part this Summer – Gap and Banana Republic SWEAT it out with BOOTY in June and September! And BONOOOBBOOOSSSSS showed me their stuff as well! 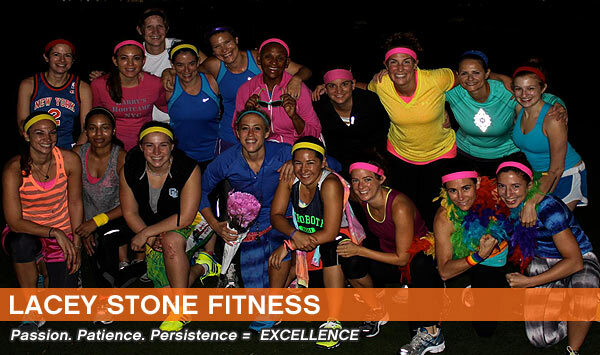 The company that works out together ROCKS together! Thank you to EVERYONE who’s participated on a BOOTY Team over the Years! I started this camp in 2006 and it’s done nothing but grow in a positive direction. As a kid, I never felt accepted on Teams due to my sexuality and just the way my Coaches Coached… BOOTYCamp! was something I created to allow me to be the Coach I never had and lead Teams of people in the direction of greatness. Over the Years I’ve coached over 20 Teams and seen extraordinary results not only physically but also mentally… It’s been an honor. BOOTYCamp! 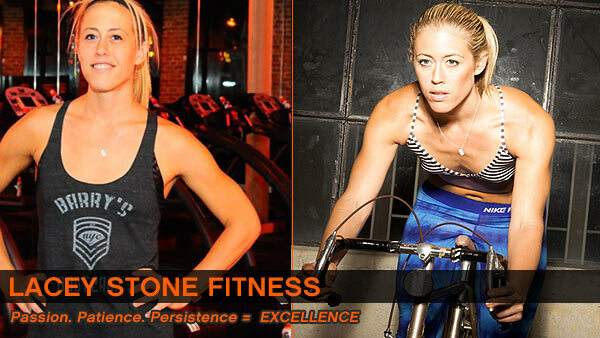 has given me the proof that Lacey Stone Fitness works and has fueled The New Lacey Stone Method launching 2012 with the re-launch and redesign of The Lacey Stone Fitness website. Thank yyouuuu BoOOooOOTtTiiiEEsssSs for 5 years of Amazeballs and inspiration! Thank you for some of the most extraordinary Summers New York City… Thank you for your energy, your hard work, and everything else. * Workout MUSIC – October Top3! Check out My Favorite 3 songs this month! As many of you know I spend hours on the Internet searching for good tunes for us to jam in classes to. This month I was turned onto two new music websites that ROCKED MY WORLD. The 3 most requested songs this month… Download and ENJOY! 1. Alanis vs Justin Timberlake – http://www.musicboxmix.net/2011/04/alanis-morisette-vs-david-guetta-you-oughta-know/ – Thank You Joey! 3. Jay-Z vs Usher – http://soundcloud.com/felixdeluxe741/linkin-park-vs-usher-dj-got-us -Thank You Ruth! This is my favorite quote of last month. It was given to me by friend (thanks Joe)… He told me that he reads it in the morning when he wakes up and in the evening when he goes to sleep. I’ve been doing it the same. “Finish every day and be done with it. You have done what you could. Some blunders and absurdities no doubt have crept in, forget them as soon as you can. Tomorrow is a new day: begin it well and serenely and with too high a spirit to be cumbered with your old nonsense.